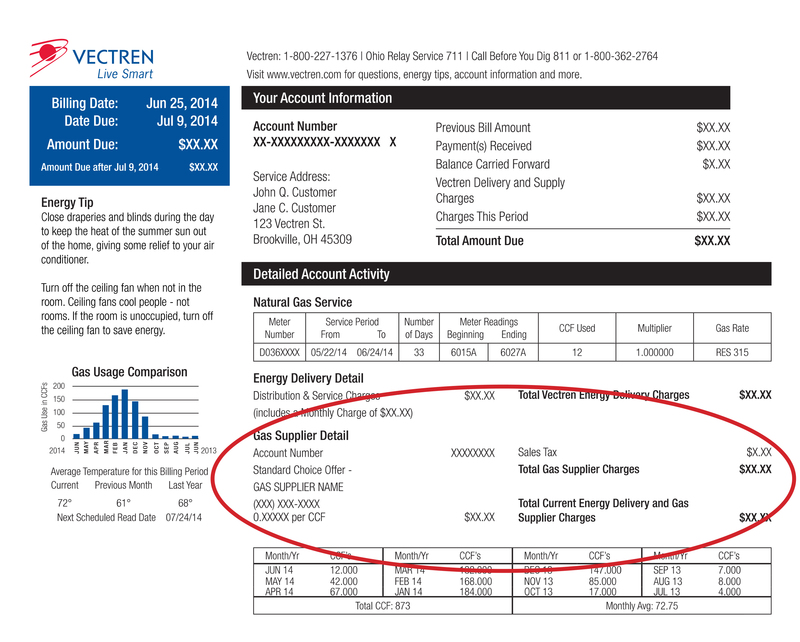 Since 2008, Vectren has not been a supplier of natural gas. Instead, we’ve partnered with a select group of approved suppliers to provide our customers with natural gas. You can remain with a Standard Choice Offer (SCO) supplier, but making your own choice may give you more appealing pricing options. So it makes sense to look and compare! Choice natural gas suppliers are certified by the Public Utilities Commission of Ohio and can offer pricing options that vary – from fixed to flexible, with contracts or not, with exit fees or not. It’s in your power to choose the supplier whose options best suit your needs. A Standard Choice Supplier (SCO) is a default supplier. If you have not chosen a supplier, an SCO suppler has been assigned to serve you. If you have chosen a supplier and wish to switch to an SCO supplier, you must cancel or wait for your Choice supplier contract to expire, and you will be randomly defaulted to one of these SCO suppliers. * The SCO price excludes taxes. All SCO supplier prices are exactly the same. The price is based on the monthly market price for natural gas plus an adder. Each year, an auction occurs to determine the adder price with the lowest bidders being named as SCO suppliers for the next 12-month period. Additionally, an SCO supplier can also be a Choice supplier. Learn more about the SCO price and auction. The most recent SCO auction was in January 2019 and resulted in a retail price adjustment (an adder) of $0.085 per one hundred cubic feet (CCF). This $0.085 is added to the month-end settlement price* for natural gas to form total Standard Choice Offer gas cost charge. 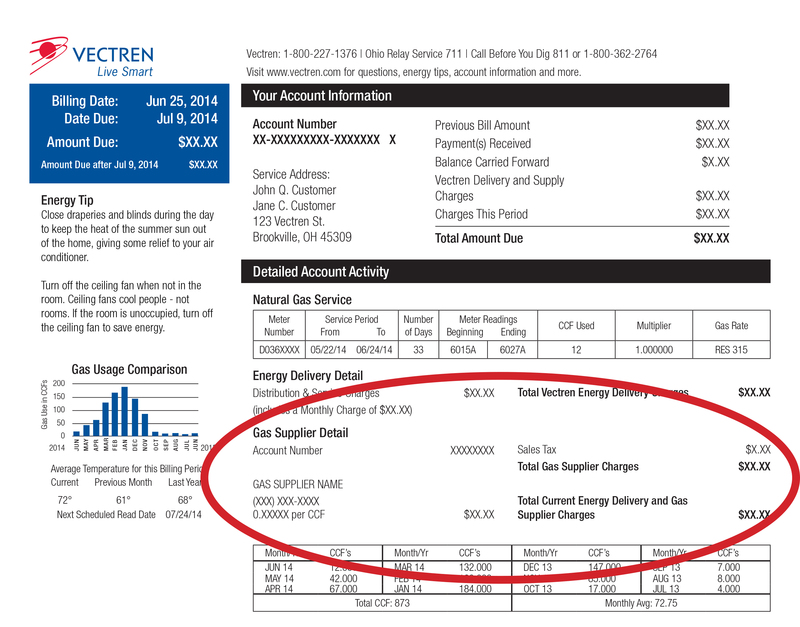 For example: If the July month-end settlement price for natural gas is $0.43 – when you include the adder of $0.085, the total SCO supplier rate for August is then $0.515 per CCF. Three companies – DTE Gas Supply, Direct Energy Services and Constellation New Energy - won the right to provide gas supply to Vectren customers who have not selected a Choice supplier. These five suppliers are effective April 1, 2019, through March 31, 2020. The annual SCO auction typically occurs at the beginning of each year and goes into effect April 1. The same or new suppliers may win the auction each year. Note: Because the majority of the SCO rate reflects the market price, the monthly price will change because the natural gas commodity is bought and sold in an open market, and, as such, its price can vary with changes in supply and demand. Therefore, if you are being served by an SCO supplier, you are receiving a variable rate. * The month-end settlement price is determined by the New York Mercantile Exchange (NYMEX), a commodity futures exchange in which natural gas is bought and sold on a daily basis.